At Mercedes-Benz of Daytona Beach, we want to know if there is any way we can improve your experience with us. Simply let one of our helpful team members know and we’ll do our best to accommodate you. We support our local economy and strengthen our community by keeping our business family-owned and operated. 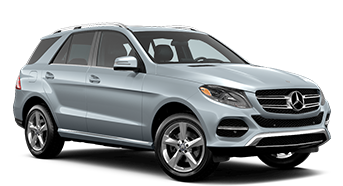 With us, you get the security of the Mercedes-Benz promise and the neighborly care of a local car repair shop. At Mercedes-Benz of Daytona Beach, we do everything we can to keep your car running like new and to keep you fully satisfied. Our courtesy shuttle operates Monday through Friday from 8:30 a.m. to 5:30 p.m. within a 30-mile radius of our location. We also deliver your serviced vehicle to your home or office. Need a loaner car? Simply talk to a service coordinator to make arrangements. At Mercedes-Benz of Daytona Beach, our technology specialists or your sales associate can help you sync your mobile device with the mbrace® system before you drive off the lot.